October brings a yearning for football, colorful leaves and scenery, soups, and all things pumpkin. For Disney enthusiasts, fall is the season when Disney celebrates its International Food & Wine Festival at the Epcot theme park. The Epcot Food and Wine Festival lasts for 90 glorious days and the itinerary is talked about, guessed at, and hoped for long before Disney ever publishes the agenda. In a nutshell, 19 Marketplace kiosks are added to Epcot’s 11 pre-existing countries in the World Showcase, offering visitors 30 different countries or regions to wine and dine from. 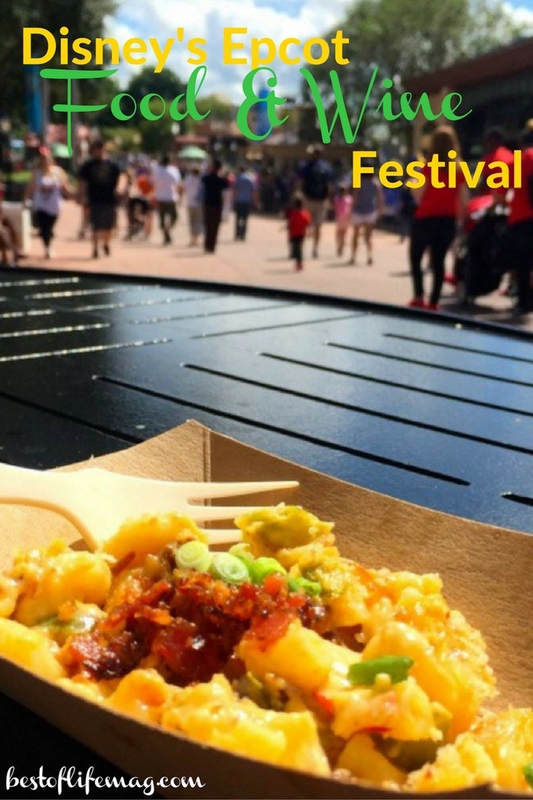 You can literally eat your way around the world at the Epcot Food and Wine Festival right here in the Sunshine State of Florida. How does the Food and Wine Festival work? Each country, or region, represented offers a short selection of native foods and drink (both alcoholic and non-alcoholic). Each country’s menu changes yearly and die hard Disney fans plan their eats weeks or months in advance, penciling in all the new foods to try. Sometimes it’s fun to have dinner at home but other times Disney is calling and you just gotta go! If you are planning to make a schedule of where to go and when you’ll need some supplies. You can’t go wrong with this gorgeous planner for Disney planning and more! If you are trying to make this a family trip you might want to check out this budget system. My favorite pens can help you color code and organize as well. I’d highly recommend you take a backpack or messenger bag for even just one day in the park. A food and wine passport can be picked up at all of the countries as well to mark your food/drink selections and have as a souvenir. Pick up a passport when you enter Epcot to keep track of every country that you have visited and what food and drinks you had at each. It makes a great souvenir and even better reminder at the end of a whirlwind Disney day. The Food & Wine Festival offers multiple special activities, including cooking demonstrations from celebrity chefs, book and bottle signings at the Festival Center, and the Eat to the Beat concert series. These concerts are free and offered nightly at 5:30, 6:45, and 8:00 PM. A few of this year’s performers were Sugar Ray, Los Lobos, and Boyz II Men. Concerts last 30 minutes. You may choose to use one of your FastPass options to secure a better seat for the concerts, but I do not recommend it as there is plenty of seating. 2016 marks the 21st anniversary of this popular Epcot festival. This years’s new global cuisine marketplaces include Greenhouse Guru (all things tomato!) and the Chocolate and Wine & Dine Studios. Although you do not need a special ticket for the Food & Wine Festival (aside from Epcot admission), you do have to buy each food and drink that you choose to sample. Feel free to bring your children along, as Disney has set up a Remy’s Ratatouille Hide & Squeak Scavenger Hunt for them. Special festival themed merchandise is available for purchase throughout the park. My favorites dishes of 2016 were the Australian Grilled Lamb Chop with mint pesto and potato crunches as well as the Loaded Mac & Cheese with pepper bacon, cheddar cheese, peppers, and green onions from Farm Fresh. 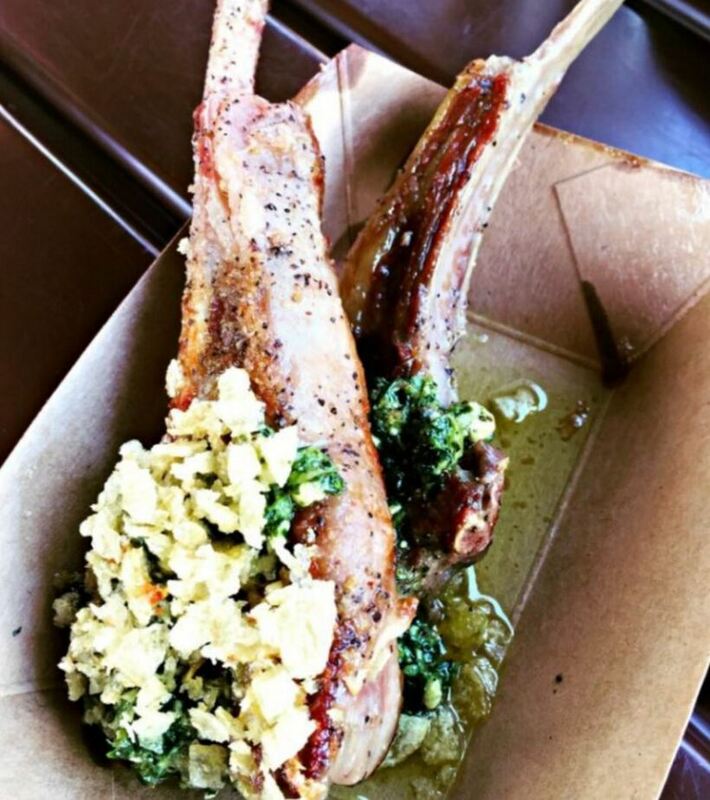 Hops & Barley, located in the United States area of the park, always offers comfort food dishes. The US Smoked Beef Brisket with Pimento Cheese on grilled garlic toast proved to be a big hit. They also brought back a crowd favorite this year, Carrot Cake with nuts and raisins. Picture this: a liquid consistency of cream cheese icing smothering a round piece of moist carrot cake with crispy edges. Nom! I hope that more countries will be represented at the Islands of the Caribbean. Only kiosk next year, as only food from Jamaica and the Dominican Republic were part of this year’s menu. My best tip for the Food & Wine Festival is to visit earlier in the day. The crowds get much thicker after 2PM and weekends are unbelievably crowded. Note that a Food & Wine Festival app is available for download to your smartphone to help navigate you through the park. 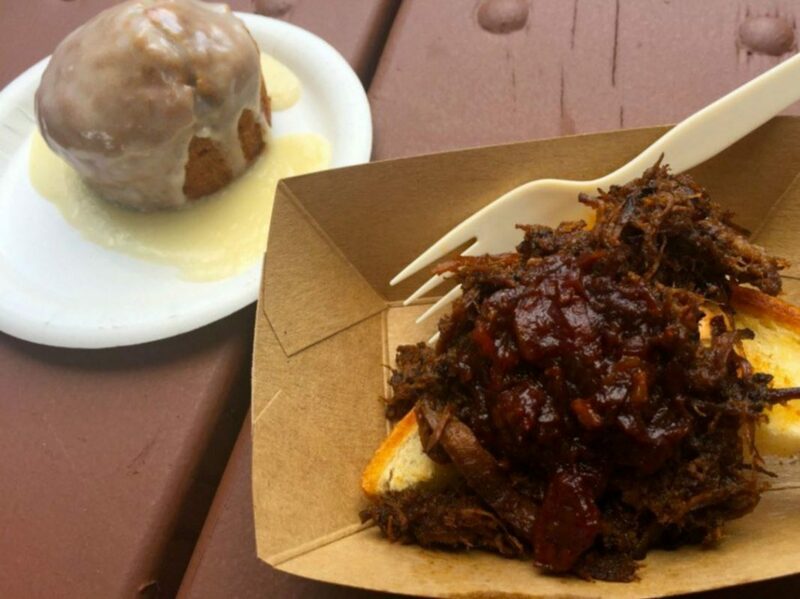 Regardless of how you choose to spend your time at the Epcot Food and Wine festival, your taste buds will be in for a real treat, though your pocketbook will take a hit.